* Note #1: The cooling fan of EZRUN-SC10 and EZRUN-SC8 is powered by the built-in BEC. 3.1 Integrated and compact design, suitable for short course trucks and buggies. 3.2 The built-in switching mode BEC of EZRUN-SC8 ESC has powerful output to supply all electronic equipments. 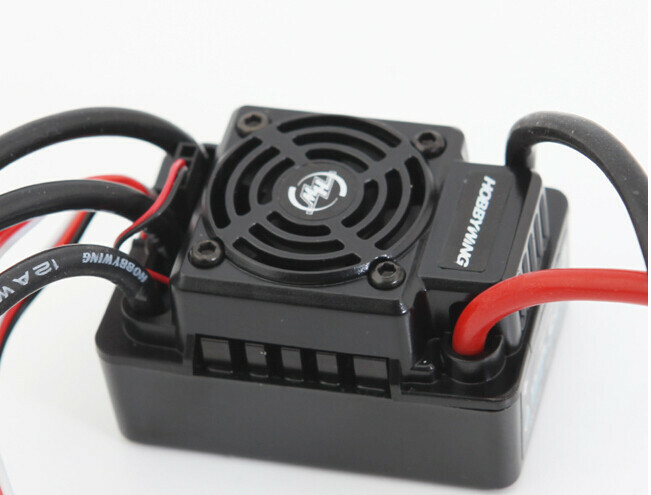 3.4 Plenty of programmable items, suitable for various of chassis\'s, tires and racing tracks. 3.5 Electric brake function, also compatible with mechanical disc-brake system. 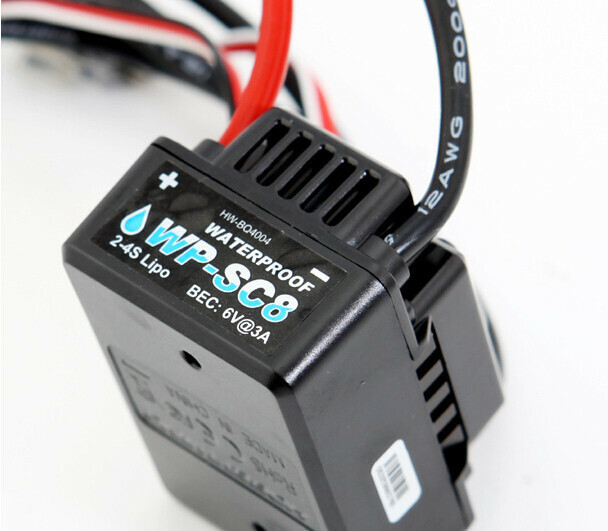 3.6 Multiple protection features: Low voltage cut-off protection / Over-heat protection / Throttle signal loss protection. 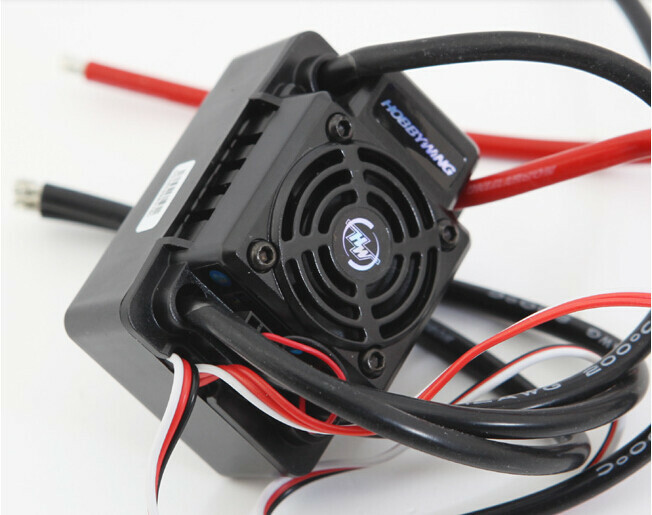 3.7 Internal timing can be changed easily to make the ESC suitable for various of motors. 3.8 Easily programmed with the SET button, LED Program Box, Professional LCD Program Box and USB Link Software. 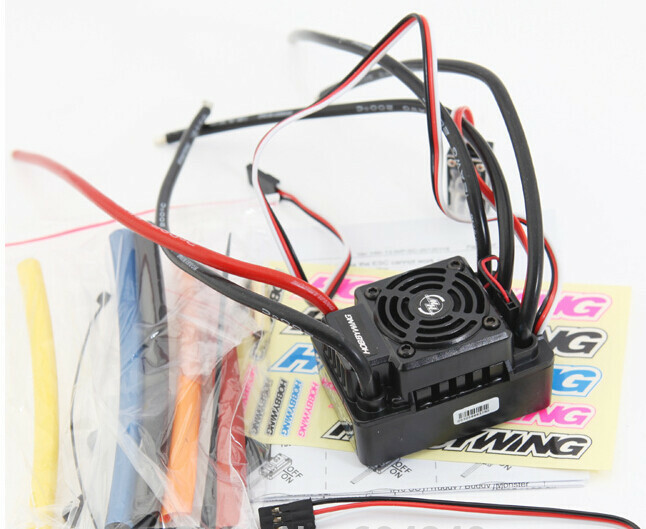 3.9 ESC firmware can be updated through the USB adapter in the LCD Program Box . 3.10 The major electronic components are sealed against splashing water and dust. 3.11 2 mounting holes on the bottom are helpful for firmly installing the ESC on chassis.